Are you planning to attend a homeschool curriculum fair this year? These four facts can help you make the most of a homeschool convention. 1. The vendors are often homeschooling parents. It’s easy to think of homeschool curriculum vendors as a huge, faceless publishing company. That may be true of some of the bigger brands who also publish materials for public and private schools, but many of the vendors are homeschooling parents. These mom-and-pop vendors are parents like you who saw a need in their own family or homeschooling community and created a product to fill that need. Additionally, it is not uncommon for vendors to hire homeschooling parents who’ve used and loved their products to work at their convention booths. I have been that mom at conventions before. Sometimes it’s awkward when I don’t know the answer to an attendee’s question and I feel like I’m supposed to be the all-knowing vendor. Most people understand, though, and consider it a benefit to talk to a parent who has used the curriculum with her own children. To make the most of fact, talk to the vendors. Ask them if they've used the curriculum, why they created it, and what the homeschooling philosophy behind it is. 2. The vendors want to help you. Talk to the vendors. Sure, there are always going to be some who are there just trying to make a sale. However, most of them want to help you find the right material for your student. It doesn't benefit them to talk you into purchasing something that isn't a good fit for your family and have you tell your friends how much you hate it. To make the most of this fact, explain any concerns you have about the curriculum a vendor is selling. He may be able to help you overcome your reservations or suggest a product that would be a better fit. 3. It’s normal to feel overwhelmed. Walking into the vendor hall at a homeschool convention—even a small one—can be overwhelming. I remember my first homeschool curriculum fair. It was a small local event. I had already researched and purchased my curriculum online, but being a brand-new homeschool mom, I wanted to attend the fair and see what it was all about. By the time I’d wandered three of the six or seven aisles, I was already panicked. I pulled out my cell phone and called a friend who’d homeschooled for several years. Thankfully, she was able to talk me down and convince me that I didn’t need to pack up my carefully-researched curriculum and return it in favor of one of everything from the fair. Do some research before you go. Almost all homeschool conventions provide an online vendor list. See who’s going to be there and make notes of which vendors you’d like to talk to and which curriculum you want to see first-hand. If you can spend at least two days at the convention, resolve not to make any purchases the first day. Shop, talk to the vendors, and make notes. Then, go back home (or to your hotel room) and look over your notes. Do a bit of research online and narrow down your choices. Go back the second day with your refined list and notes of any follow-up questions you’d like to ask the vendors. If possible, take your children with you and get their input on the curriculum you’re considering. 4. It’s not just about buying books. Nearly all homeschool conventions also offer vendor workshops and guest speakers. Many homeschooling parents think of these events as professional development courses – and with good reason. While the sessions often are motivational in nature, they are much more than that. They provide practical tips, creative activity ideas, and vital insight into the way children learn. 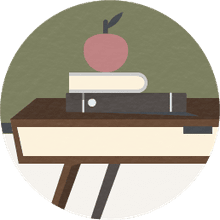 All of this information can help you become a better homeschool teacher. It's rare that I don't walk away from a speaker session without at least one tip I can use. To make the most of this fact, check the speaker list and session topics. You certainly won't be able to attend each session, but you can make it a point to attend those covering topics relevant to you or hosted by publishers of curriculum you plan to use. These facts, tips, and a little bit of planning will have you ready to make the most of your next homeschool convention.